Dr Joanne Garde-Hansen is Reader in Culture, Media and Communication, and directs the Centre for Cultural & Media Policy Studies and teaches on the MA Global Media and Communication. Her research and teaching focus upon media, memory, archives and heritage. This is manifest in two strands of research. The first, relates to her collaboration with television researchers on television history, heritage and memory and the co-founding of the Centre for Television History, Heritage and Memory. The second, is in her collaboration with geographers, water scientists and the Centre for Floods, Communities and Resilience on the relationship between culture and water, rivers, flooding and drought. She has published on media and memory, television, archives, and water memories and heritage. She is a Fellow of the HE Academy, was nominated for a National Teaching Fellowship in 2005, and has won awards for outstanding module design and public engagement. I currently lead the AHRC funded research network The Afterlives of Protest with partners at Kings, Loughborough and Sussex. I have been the co-researcher on the AHRC funded research network Women, Ageing and Media (with UWE and UoG) and co-investigator on the ESRC funded Sustainable Flood Memories project (with UWE and CCRI) and the follow-up ESRC funded Knowledge Exchange project with the Environment Agency on Digital Stories of Flooding. I am currently working with colleagues in Sao Paulo, Brazil on the theory and practice of a social technology of media and memory. Recent books include the collection Save As...Digital Memories (Palgrave Macmillan 2009), co-edited with Andrew Hoskins and Anna Reading; Media and Memory (Edinburgh University Press, 2011); Geography and Memory, co-edited with Owain Jones (Palgrave Macmillan 2012), Emotion Online: Theorizing Affect on the Internet co-authored with Kristyn Gorton (Palgrave Macmillan 2013) and Remembering Dennis Potter Through Fans, Extras and Archives with Hannah Grist (Palgrave Pivot 2014) and Social Memory Technology: Theory, Practice, Action (Routledge 2016). I have just completed a monograph for IB Tauris entitled Media and Water and I completed with Dr Kristyn Gorton (York) a book entitled Remembering British Television: Audiences, Archive and Industry (BFI) based on a British Academy Small Grant (2013-2014) which drew together television scholars, producers, creatives and television archivists. This has been extended into new research with Prof Matt Hills and Prof Jonathan Gray on paratextual media and memory sudies during 2016-2017 with a publication on Dr Who. Since 2012, I have been working with Karen Worcman (Museu da Pessoa, Brazil), Prof Gilson Schwartz (University of Sao Paulo, Brazil) and Dr Carlos Falci (University of Minas Gerai, Belo Horizonte, Brazil) on the following projects: Beyond the Digital: Collective Memory and Social Networks in Emerging Global Conflicts funded by the British Council/FAPESP; Memory as Metadata funded by Warwick's Brazil Partnership Fund; and a series of events during 2015 with Brazilian colleagues funded through the Institute of Advanced Study's Visiting Fellowship Scheme. My focus on storytelling and the environment continues as a research strand after the Flood Memories project completed. I am working with Prof. Rob Procter (Computer Science) on an ESRCIAA funded project entitled Developing a Flood Memory App (2015). From 2014-2019, I will be co-investigator with Prof Lindsey McEwen (UWE) in the Natural Environment Research Council funded project: Developing a Drought Narrative Resource in a Multi-Stakeholder Decision-Making Utility for Drought Risk Management or DRY (Drought Risk and You). During 2016-2017 I will be visiting Bauru, Brazil to explore Narratives of Water and digital hydro-citizenship with Dr Danilo Rothberg in a Warwick-Fapesp funded project with the State University of Sao Paulo. With colleagues at Warwick I am co-investigator of the Waterproofing Data project (2018-2020) and consultant to the Fapesp funded MEANDRO Project in Brazil (2018-2020). I am currently researching for a monograph entitled Mediating Water: Communication, Culture and Perception that synthesises all of the media research on flood and drought. I would be interested in supervising postgraduate students who wish to research popular media cultures, media technology, women, ageing and media, media history and heritage, media and memory, and digital media cultures and the environment. Garde-Hansen, J and Grist, H (2014) Remembering Dennis Potter Through Fans, Extras and Archives (Basingstoke: Palgrave Macmillan). Garde-Hansen, J, F Krause and Whyte, N (2013) 'Flood Memories - media, narratives and remembrance of wet landscapes in England' Journal of Arts and Communities, 4: 1-2. Garde-Hansen J and Gorton, K (2013) Emotion Online: Theorizing Affect on the Internet (Basingstoke: Palgrave Macmillan). Garde-Hansen, J (2013) 'Friendship Photography: Memory, Mobility and Social Networking' in M Sandbye and J Larsen (ed.) Digital Snapshots: Rethinking Photography (IB Tauris). Garde-Hansen, J and Gorton, K (2013) 'From Old Media Whore to New Media Troll: Madonna's Ageing Body', Feminist Media Studies 13:2, 288-302. Garde-Hansen, J and Jones, O (eds.) (2012) Geography and Memory (Basingstoke: Palgrave Macmillan). 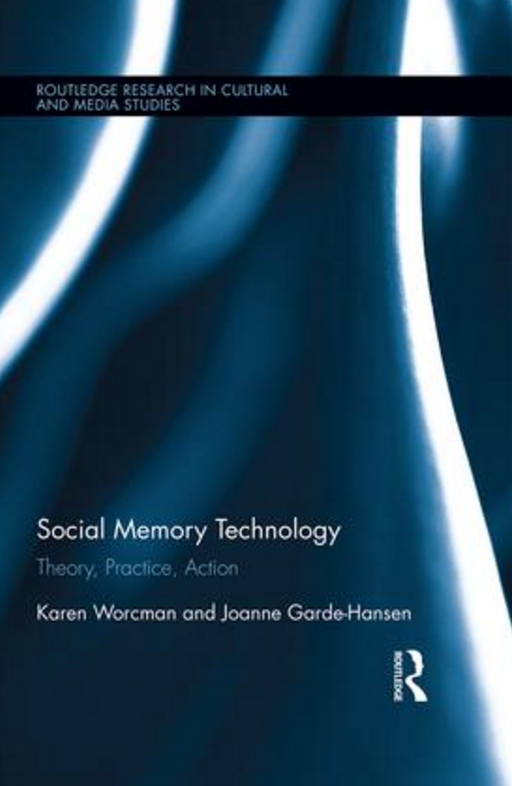 Garde-Hansen, J (2011) Media and Memory (Edinburgh: Edinburgh University Press). By email appointment. I will endeavour to answer your email within 24 hours.